Bel Sprinter’s dam, Gavroche, is well named. 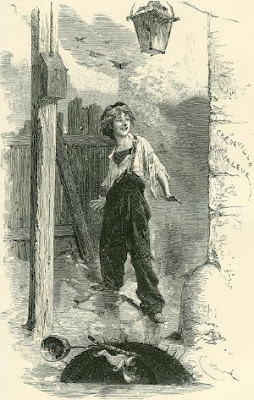 Fortunately for those around, I won’t be bursting into a rendition of the Second Attack anytime soon, but Gavroche is the street urchin shot while collecting cartridges in Les Miserables. Meanwhile, Gavroche, the equine version, is out of the Miswaki mare La Miserable. Gavroche was foaled in 2002 and trained by Lee Freedman – winning a Bairnsdale Maiden … clearly her son is doing a lot better. Still, she was somewhat superior to the 1985 model, Gavroche (by Peg’s Sovereign out of So Ella) whose eight starts in the early 90s produced no wins and no placings, culminating in a 11th of 12 at Bairnsdale. Long-time Eliza client, Tony Fiume, raced Gavroche Mk I, who freely admits the horse couldn’t run out of sight on a dark night, but was named after the restaurant in East Hawthorn, which Tony and his wife Marcia ran for 10 years. Tony and Marcia’s other restaurant was Le Gamin (translation: street urchin) … and it’s a fairly safe bet that they served French cuisine.